I’m always looking for new ways to make fresh veggies more appetizing for the Man. 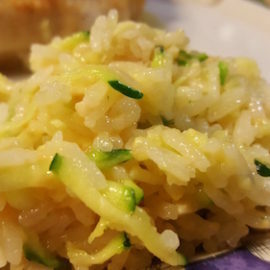 I happen to love zucchini and want to have more of it on a regular basis. 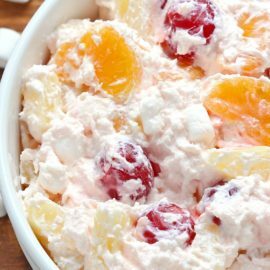 I have probably a dozen or so recipes now on cooking (or not cooking) it, and I really like this one. Word of caution: The length of time cooking it really depends upon how thick or thin your slices are. Preheat over to 450. Spray large cookie sheet with spray of your choice. Slice zucchini length ways, roughly 1 1/2 thick or whatever you like. You can also cut it into rounds as well – unless the whole ‘stick’ thing gets to you. Toss zucchini in a bowl with olive oil to coat. 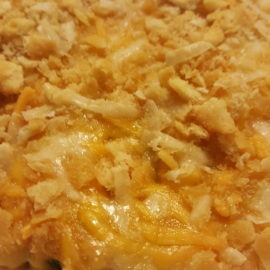 Mix the rest of the ingredients together in another bowl and coat each slice of zucchini. Lay out the slice on baking sheet and bake for 20 minutes. 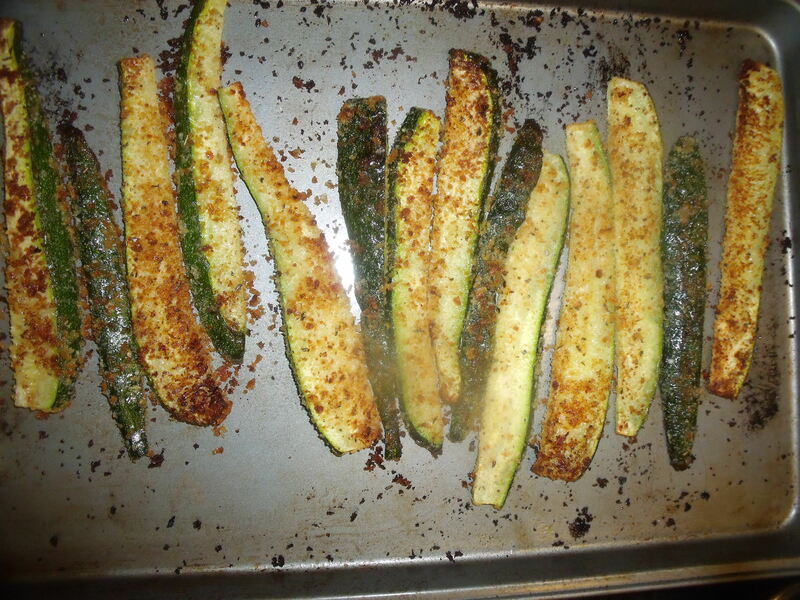 Turn zucchini and bake for another 10 minutes or until golden brown.